With a stay at OS Style Hotel Batam in Batam (Sagulung), you'll be 9.7 mi (15.7 km) from Batam Centre Ferry Terminal and 10.4 mi (16.7 km) from Nagoya Hill Mall. This hotel is 9.1 mi (14.7 km) from Sekupang Ferry Terminal and 9.7 mi (15.6 km) from Batam Center Shopping Area. 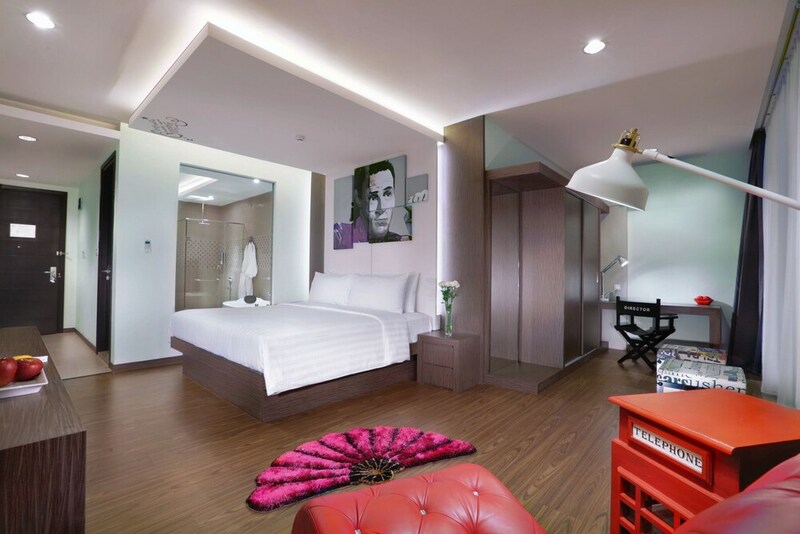 Make yourself at home in one of the 142 air-conditioned rooms featuring LED televisions. Complimentary wireless Internet access keeps you connected, and cable programming is available for your entertainment. Private bathrooms have complimentary toiletries and bathrobes. Conveniences include phones, as well as safes and complimentary bottled water. Pamper yourself with onsite massages or make use of the other amenities, which include complimentary wireless Internet access and concierge services. Guests can catch a ride on the complimentary shuttle, which operates within 10 km. Enjoy a meal at Pop Corn, or stay in and take advantage of the hotel's 24-hour room service. Wrap up your day with a drink at the bar/lounge. Buffet breakfasts are available daily from 6:30 AM to 10:00 AM for a fee.